Ten years on from the death of teenager Leah Betts after taking ecstasy, what is the legacy of her tragedy and her parents' campaigning? 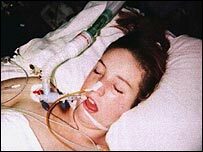 The image of Leah Betts in hospital, connected to a life support machine, was one of the most harrowing to be shown in the British media in the 1990s. The Essex teenager had collapsed after taking an ecstasy tablet at her 18th birthday party. By the time she was pronounced dead four days later, there was blanket coverage of the tragedy in newspapers and on television. 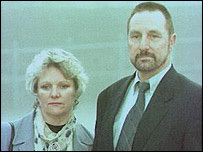 Father Paul had been a police officer and step-mother Janet a nurse. There was nothing in her background or upbringing that could have pointed to a drug-related death. The message in the newspaper leader columns was clear and is still echoed by Leah's father. In a recent interview, Mr Betts told the BBC: "We thought, as we still do, that if it can happen to us then it can happen to anybody. "Being an ex-police officer my stupidity was telling me that the majority of drug users were drop-outs, my daughter, coming from what I would call a good background, that she was basically immune to such things." It was Paul and Janet Betts who decided to release the picture of Leah in hospital. The image was used on a billboard campaign with the tag line "Sorted - just one ecstasy tablet took Leah Betts". This was followed by a short film called Sorted, which its producers estimate was shown to up to 500,000 children in the aftermath of Leah's death. Her parents have been among the most steadfast and dedicated campaigners against drugs, visiting about 2,500 schools in the 10 years since the tragedy. But now they have called it a day, disappointed by the attitude of politicians, the police, charities and even parents. Many question whether there has been any impact on ecstasy consumption. In the Drug Misuse Declared survey, the Home Office suggests ecstasy use reached a peak in 2001/2002, and then levelled off. Drawn from the British Crime Survey, the data suggests 556,000 adults have used ecstasy in the last year. Among 16 to 24-year-olds, the group the Betts and other campaigners worked hardest to educate, 5% used ecstasy in the last year, again down from a 2001/2002 peak. Certainly, tabloid attention has largely moved on to new and more exotic drugs like ketamine and GHB, or to the rise of cocaine. Petra Maxwell, of DrugScope, says it is unlikely the death of Leah and her parents' campaigning did anything to reduce ecstasy use. "It is a difficult question to answer. I don't think there is anyone who is unfamiliar with the tragic case of Leah, everyone is familiar with her name, everyone knows she died. "[But] the harsh answer is no." Dr Russell Newcombe, a researcher with Lifeline, said: "All the latest figures suggest ecstasy use has reached a peak, [but] it certainly hasn't gone down. "People are using it outside [clubs and bars] more often... as just another recreational drug." The latest surveys say that an ecstasy user's typical session now sees an average of four pills consumed. Explanations include the vastly reduced price, down from £10-£20 at the time of Leah's death to £3 and lower now, or even weaker tablets. But Professor John Henry, an expert in toxicology who gave evidence at Leah's inquest at the beginning of 1996, said the Betts campaign had had a definite impact. "They certainly made people more aware that illicit substances can have a downside by their campaigning." But he admitted that campaigning and education "clearly hasn't scared people off". It is very difficult to reach a figure for "ecstasy deaths", with a cocktail of substances often having been consumed by victims and the exact relationship between drugs and the death not always clear. Cases where ecstasy is mentioned on the death certificate rose from 10 in 1995 to a peak of 55 in 2001 before dropping to 33 in 2003. Despite this rise, Conservative leadership contender David Cameron felt able to advocate its downgrading from Class A to B, something some drugs charities have urged for a long time. The dangers of ecstasy are still being debated, with the death of Leah helping to obscure the issue. Initial media reports suggested she had been affected by a contaminant in the tablet before speculating about an allergic reaction to ecstasy itself. But Leah did not die of an allergic reaction to either ecstasy or a contaminant. The teenager died because of "water intoxication", after consuming more than three litres of water in a very short space of time. When too much water is consumed, tissue in the body can swell. In the case of the brain, this can lead to seizures, coma and death. The problem - and the related drop in salt levels, hyponatremia - is more commonly encountered by endurance athletes. In Leah's case, excessive water consumption was exacerbated by the ecstasy causing her body to release anti-diuretic hormones, stopping a normal level of urination that could have saved her. At the inquest, Prof Henry said: "If Leah had taken the drug alone she might well have survived. If she had drunk the amount of water alone she would have survived." He says now: "The original advice - 'if you take E, take water' - that was fatal advice." Drug charities now emphasise that people who have taken ecstasy but are not dancing should not consume excessive amounts of water. Prof Henry says media reporting of Leah's death at the time may have confused the safety message. "It is a bad side to see that. If the wrong piece of news goes out you can never put it right. "It did cloud the message but people are now generally aware... The message has eventually got through." And the media emphasis on dramatic deaths has perhaps distracted attention away from other dangers such as memory loss or psychiatric conditions. Now cocaine is the subject of many column inches, and usage has risen dramatically among the adult population. Prof Henry is surprised that the drug has retained a "remarkable, sparkly, innocent image". But despite the continuing drug use among Britain's young people, Paul Betts has said he has no regrets. "I think we did the right thing for the past 10 years talking to young people, making them aware of the dangers of all drugs, not just E but all drugs. "What's made me take time out is the stupidity of many drug agencies who cannot get their act together. You get one lot saying well don't worry it's a passing phase, you get another one turning round and just saying don't do it. "You get the government sending out mixed messages of one minute something's OK and the next minute perhaps we've got to reclassify. "Above all you've got parents who are so lethargic... They think they are safe and it won't happen to them."